Multiplex is keen to update all stakeholders on the activities of the site. 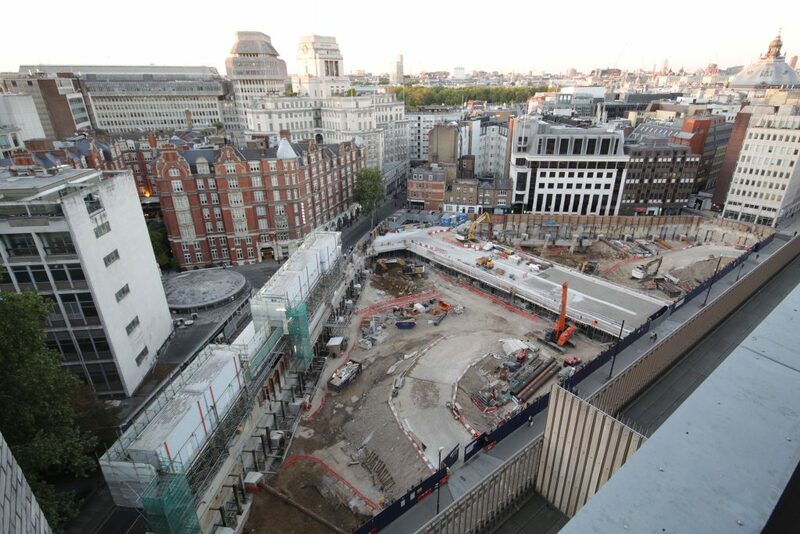 Here you will find regular updates on progress of the whole development. 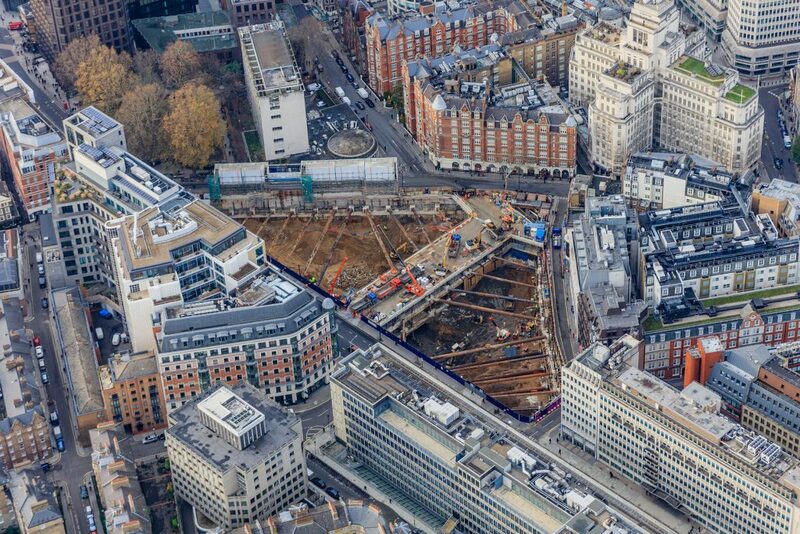 Waling beam and temporary works were installed above B1 level to enable the excavation down to B2 level on the eastern area of the site. 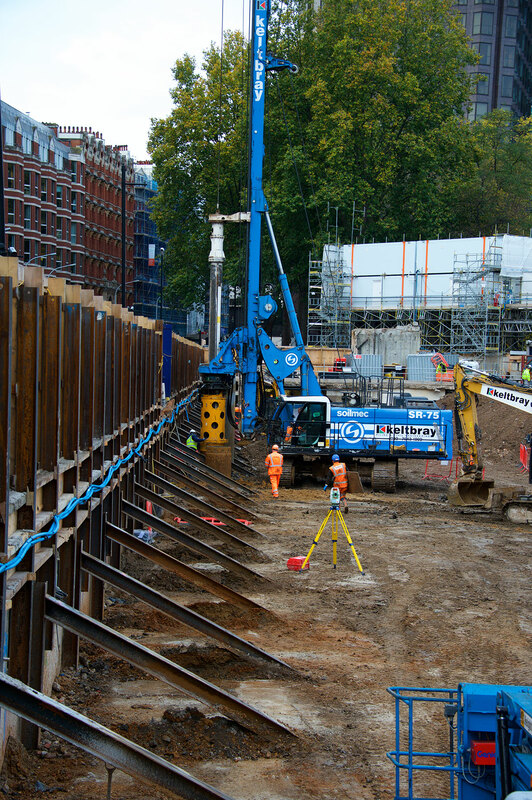 During the excavation works the existing bearing piles were broken out and the areas progressively blinded and handed over to Keltbray Piling for the installation of bearing piles. A central logistics strip was constructed at ground floor level to assist with the vehicular movements for deliveries and removal of waste from site. 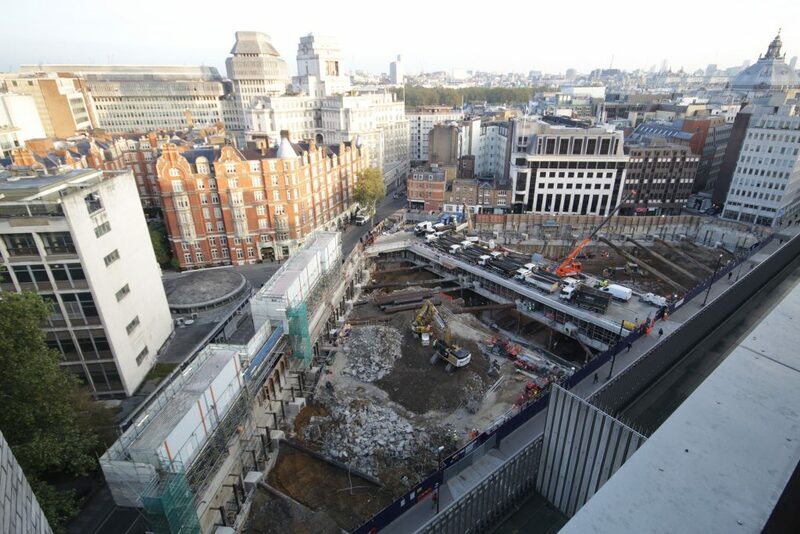 Temporary works were installed above lower ground floor level to enable the breakout of the existing basement slab and the bulk excavation down to lower ground floor and to B1 level. 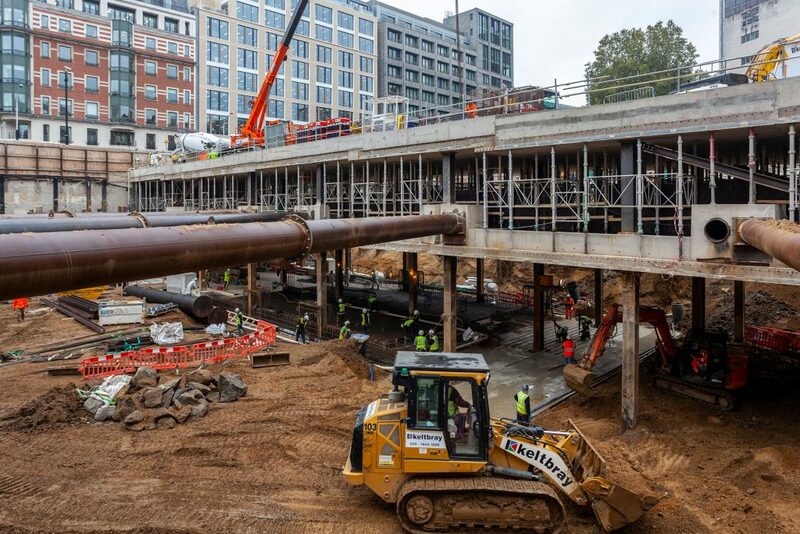 Following on from the demolition, Keltbray demolished the existing ground floor slab and Keltbray Piling undertook the piling operations and installed 584No 880mm diameter rotary secant wall piles with depths of up to 35m of which 146No involved the installation of kingposts. 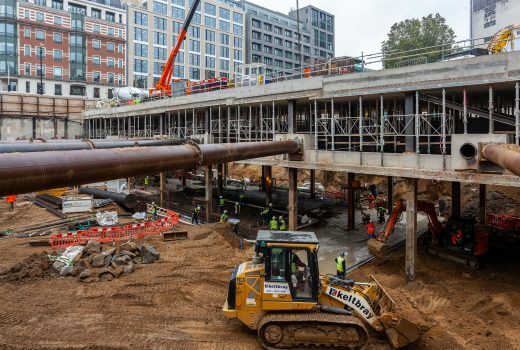 The installation of the secant wall enabled the excavation of the basement and the construction of the capping beam. 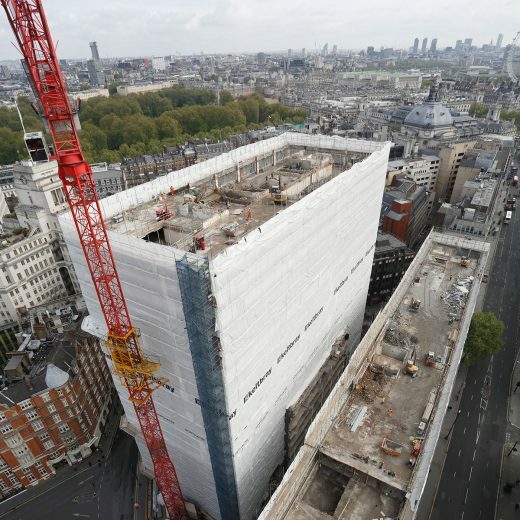 Keltbray Demolition & Civil Engineering took possession of the existing New Scotland Yard site in November 2016. 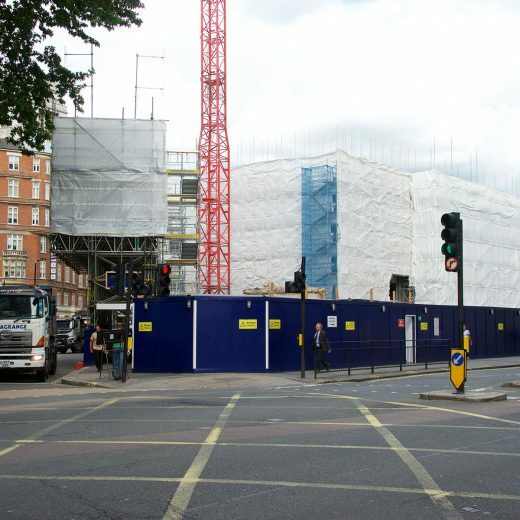 The scope of works for this project entailed undertaking the R&D surveys, soft strip, asbestos removal, structural demolition of the 21 storey tower block, link block and the 9 storey Victoria block, protection to the 5 existing UKPN substations, archaeological investigations, temporary works design and installation, shaft probing, skin wall construction, underpinning and the construction of the gantry for the relocation of the existing UKPN substations.